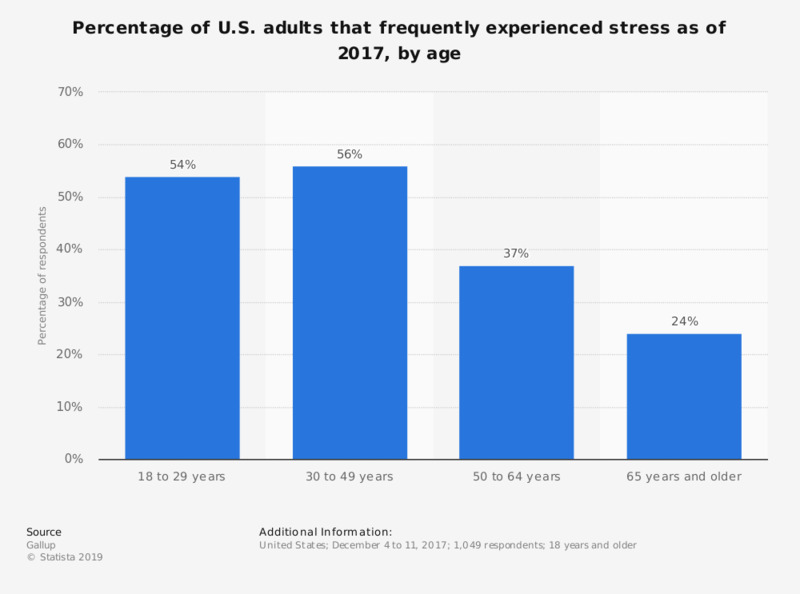 This statistic describes the percentage of U.S. adults that frequently experienced stress as of 2017, by age. According to the survey, 54 percent of those aged 18 to 29 years experienced frequent stress. Comparatively, just 24 percent of those aged 65 years and older experienced frequent stress.